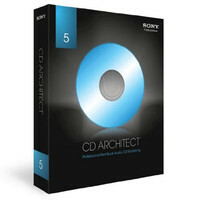 Sony CD Architect 5.2 is a extremely powerful CD mastering software pack that has the ability to arrange full albums or selections of audio with flawless crossfaded playback as well as perfom advanced processing and mastering functions such as PQ Code Editing event trimming on board directX effect processing track and PQ code extraction Real-time pitch altercations and and time stretching and event normalization as well as many more. A carefully designed audio manipulation flourishing and burning tool that gives the user a variety of options and a huge range of features allowing the maximum control over audio/cd mastering and burning. 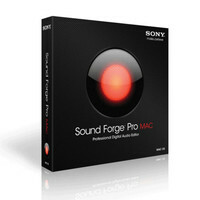 Sony Sound Forge Mac is an advanced audio production editing and mastering tool from Sony Creative that is capable of producing high quality audio projects whilst retaining a simple and ergonomically designed user interface. Similar to that of the prestigious windows versions; Sony Sound Forge Mac gives the user the ability to have complete control over audio manipulation and mastering but however has been re-designed to be compatible and optimized for Mac (OS X).Also with a huge range of on board effects such as reverb multiband compression limiter and denoiser just to name a few and a large range of modulation and editing tools Sony Creative have packed in everything you could need to record edit mix and master your desired project. ACID Pro 7 represents an incredible value for the PC-based studio. To start the creative process you get over 3000 loops and 1000 MIDI files right out of the box – and thats in addition to a potent effects rack powered by iZotope and great-sounding virtual instruments including Native Instruments Guitar Combos software and Submersible Musics KitCore. Whats more control over MIDI data is better than its ever been as ACID Pro 7 sports real-time MIDI automation quantization and deep editing functionality. 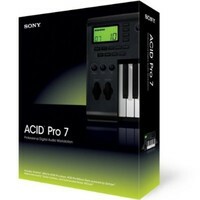 Plus ACID Pro 7 boasts a new time-stretching feature. 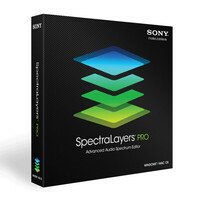 Sony Creative SpectraLayers Pro is a piece state of the art audio editing software which is first and foremost an audio frequency spectrum analyzer but is also loaded with many other impressive features such as the smart editing tools which can be used to isolate and extract layers of audio/frequencys/harmonics from within a track Vst effects noise reduction (ideal for cleaning up dated tracks) and the ability to manipulate time & pitch as well as many more. A powerful piece of audio editing software in a workflow optimized versatile package. 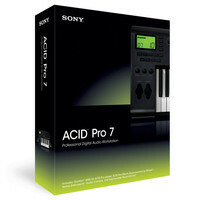 ACID PRO 7 is the latest version of Sony award-winning loop-based music creation tool. Sony Sound Forge 11.0 is a next level audio production suite which provides you with all the tools you need to record edit mix and master audio. 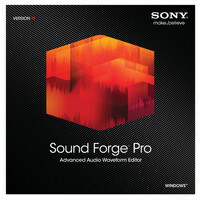 With professional quality effects and modulators efficiency orientated workspace and advanced and meticulous editing tools the Sony Sound Forge 11.0 gives you complete control over every aspect of the audio helping you achieve professional quality audio projects. 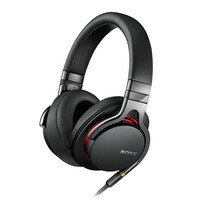 The Sony MDR-1A headphones are high performance on ear headphones which deliver unbeatable sound quality due to the 40mm HD drivers and advanced audio conversation technology. With a vast frequency response of 3 Hz to 100 kHz you can listen to your music the way the artist intended. Also incorporating an in-line remote and microphone you can control your music and call functions on your smart phone without removing your headphones.